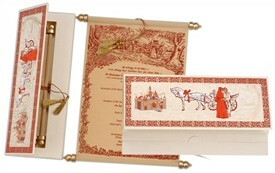 S22, Red Color, Scroll Invitations, Jewish Invitations, Fabric Scrolls. 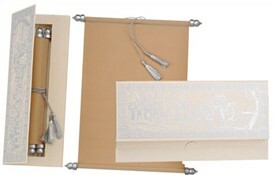 This Paper box scroll card is a classic piece of communication. 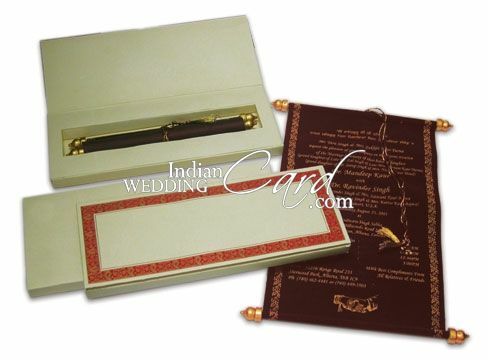 The cover has golden line art floral image border with a maroon ground and the box contains a velvet cloth scroll card having ochre colored screen-printed border. 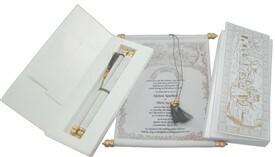 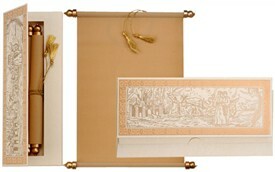 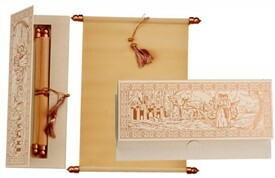 Golden bars frame the scroll and a cute chiming tassel ties the scroll.